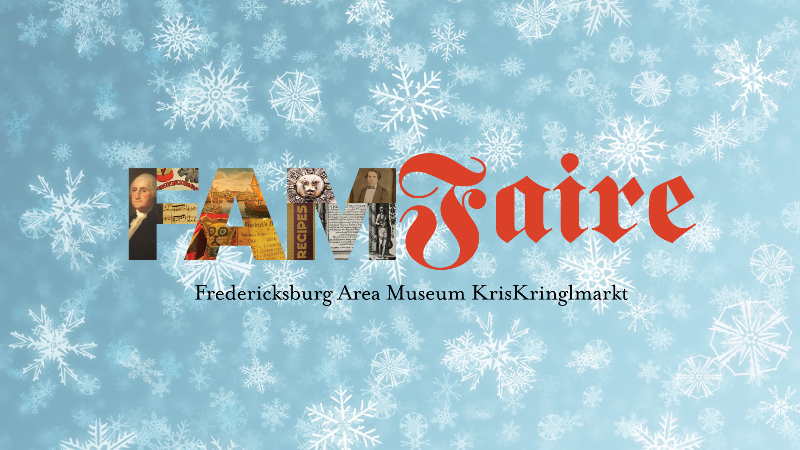 The Fredericksburg Area Museum (FAM) is excited to announce that it will host the inaugural KrisKringlmarkt, a traditional German-style holiday market, in historic Market Square on December 8, 2018. This event will feature over 20 vendors representing the food, arts, and retail industry. The museum is currently accepting applications for vendors, business owners are encouraged to submit their vendor application now. Space for this exciting event is limited and only complete applications will be considered. Update: It’s not too late to apply for a vendor spot at this year’s FAM FAIRE Holiday Market. We already have more than 2000 people interested in attending and we’re still months away from this extraordinary event! We still have applicant openings in Food and Beverage, Toys, Jewelry and Home Goods, but the Art and Crafts category has closed for additional applications. If you or someone you know would like to participate in these categories, please apply soon! Interested vendors can apply on the FAM website.